I'm writing this post from my hotel room in Sitges, Spain. I'm here for the famous Sitges Film Festival and it's already my third day in this lovely little coastal town. 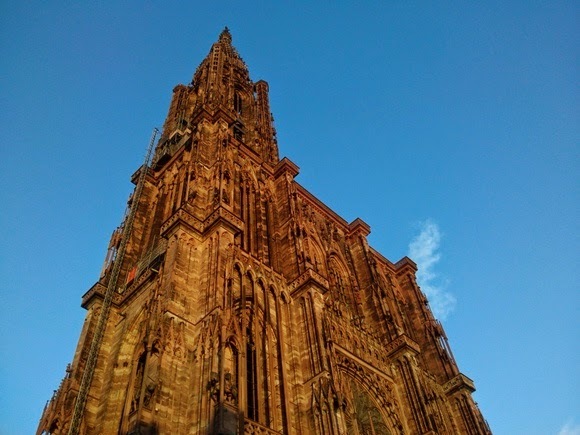 Before I head out to enjoy the sun, some tapas, and the festival, I'd like to show you my pictures from my trip to Strasbourg, France, from two weeks ago. If you missed my film reviews of the Strasbourg European Fantastic Film Festival, you can find them here. Situated close to the border with Germany, the principal city of the Alsace has that same typical feel to it. I particularly loved the colorful, half-timbered houses which are so common in the region. The idyllic center is quite small, though; one weekend to visit is enough. Strasbourg's pride is the famous Notre-Dame cathedral which is the second most visited cathedral in France, after the Notre-Dame de Paris. It's known as one of the most beautiful Gothic buildings in Europe and I can only agree. My favorite part of Strasbourg was La petite France (Little France), with its canals, cobblestone streets, restaurants, and half-timbered buildings. No wonder this is a UNESCO World Heritage Site. On Saturday, we spent an entire afternoon in the Parc de l'orangerie which is situated next to the European Parliament. I was pleasantly surprised to see that the park hosts a free zoo, albeit a small one. I ended my stay with a flea market in the center of Strasbourg. So cozy. 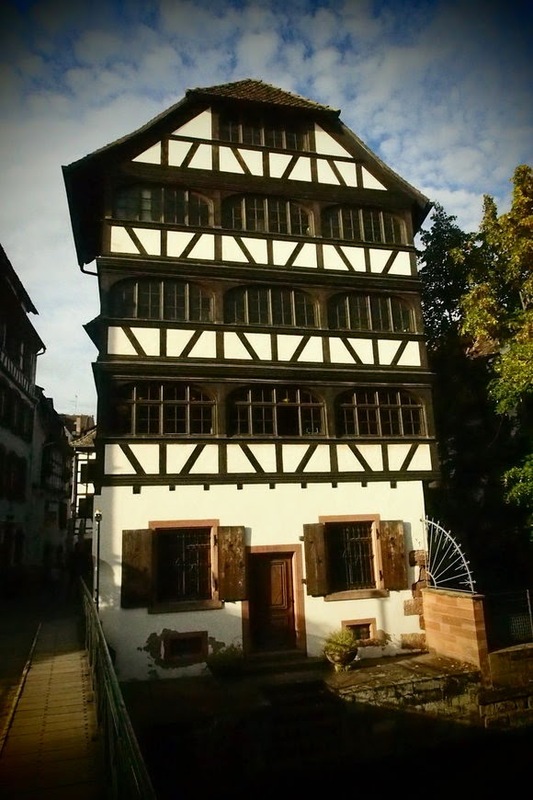 Have you ever been to Strasbourg or another part of the Alsace reason? What did you think about it? Coucou et MERCI chère Vanessa pour cette SUPERBE balade à Strasbourg ! J'adore !!!!!! C'est un beau partage !!! Some amazing photos. The one of the flamingo is stunning. So many multi-floored buildings and homes. I can't imagine a fourth and fifth floor on my house. Thanks for sharing the cool photos -- wow, I missed out. We spent most of our time in Paris and Rouen. Have a great time over there, Vanessa. How utterly, utterly charming. I've never been anywhere in France -- yet! Straatsburg ben ik nog niet geweest maar in de Elzas en ik zie die prachtige vakmanschapwerkhuizen die je daar ook terug vindt. Het moet een fantastische stad zijn als ik je foto's bekijk. Dank dat ik mag meegenieten. So beautiful, I feel I'm in there enjoying it all. Thanks for sharing! You seem to be having a wonderful time. Thanks for sharing it. oh how inviting! what a gorgeous place! historic, romantic, colorful... i envy you your journeys! thanks for sharing the photos! Awesome photos. They really depict the intricacies and uniqueness of architecture in that part of the world. You can find really useful writing tips on https://eduessayhelper.org/blog/thematic-essay-writing. You can use it if you are going to write your thematic essay soon.